Crude oil prices topped $60 a barrel this week for the first time in nearly four months. 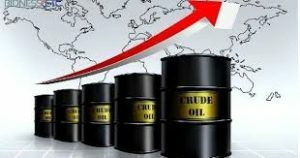 Prices rose Wednesday after the government revealed figures showing how the American stockpiles of crude oil and refined fuels took a nose-dive last week. West Texas Intermediate crude futures settled 80 cents higher at $59.83 per barrel after earlier going over the $60 mark and hitting the highest level since Nov. 12. The heavily traded WTI contract for May peaked at $60.28 a barrel. West Texas Intermediate crude rallied 32 percent so far this year after losing about half of its value in the last several months of 2018. As for Brent, it is up more than 27 percent year to date. Brent crude futures were up 89 cents or 1.3 percent hitting $68.50 a barrel. It got as high as $68.57 setting a new high dating back to Nov. 13. 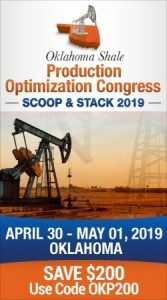 All of this came after crude stockpiles in the U.S dropped 9.6 million barrels in the week through March 15 according to the U.S Energy Information Administration. Gasoline inventories were down 4.6 million barrels and stocks of distillates including diesel and heating oil dropped 4.1 million barrels.